A heartily Welcome to all our Readers! 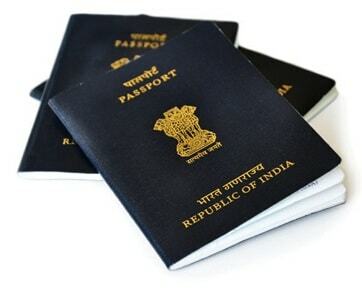 Today in our this blog we will discuss about the Passport Annexure and their significance’s. While applying for Passport different Affidavits/Annexures needs to be submitted as prescribed by the Passport Department according to the status of concerned application. There are total 14 Annexures – Annexure A to Annexure N.
We will dicsuss about each Annexure seperately. Annexure “A” – Annexure “A” is the affidavit of Date of Birth needs to be submitted by the Illiterate Applicant for carry out the passport application and must be printed on minimal value of Non Judicial Stamp Paper and needs to be attested by the Notary Public/Judicial Or Executive Magistrate. Annexure “B” – Annexure “B” is the Identity Certificate provided by the central government employees, state government employees, employees of statutory bodies and public sector undertaking, their spouse and children needs to be given on the Letterhead of the Authority attested/verified by the Officer of the concerned authority. Annexure “C” – Annexure “C’ is the Affidavit for the passport of the Minor Child by either parent i.e who are separated but not formally divorced. Annexure “C’ needs to be executed on the Non Judicial Stamp Paper of minimal value and needs to be attest by Judicial Magistrate/Executive Magistrate /Oath Commissioner/Notary Public. Annexure “D” – Annexure “D” is the Affidavit for Lady Applicant for change of her maiden name after Marriage also called as Joint Affidavit along with Husband. Annexure “D’ needs to be executed on the Non Judicial Stamp Paper of minimal value. In Annexure “D’ the joint photograph of the couple is also needs to be pasted on the bottom left hand side of the affidavit paper and attested by the Judicial Magistrate or Executive Magistrate/Notary Public with his/her signature and rubber stamps (half on the photograph and half on the affidavit). Annexure “E” – Annexure “E” is the Specimen Affidavit for Change in Name/Deed Poll/Sworn Affidavit. Annexure “E’ needs to be executed on the Non Judicial Stamp Paper of minimal value and needs to be attest by Judicial Magistrate or Executive Magistrate/Notary Public or Consular Officer in an Indian Mission abroad. Also, In case of change of name, applicant should insert advertisements in two reputed newspapers (one local newspaper of the area in which he/she is residing and 2nd in newspaper of the area of permanent address) and submit original newspapers at the time of applying for passport in his/her new name. Annexure “F” – Annexure “F” is the Specimen Verification Certificate for the Passport under Tatkaal only. It needs to be given on the Letterhead of the Authority attested/verified by the Officer of the concerned authority. In The Certificate the applicant’s passport size photograph is also required to be affixed and attested by the officer issuing the Verification Certificate with his/her signature and rubber stamp put in such a way that half the signature and stamp appear on the photograph and half on the certificate. Annexure “G” – Annexure “G” is the Specimen Affidavit /Declaration by Applicant’s Parent/Guardian for issue of Passport to Minor when (one parent not given consent). Annexure “G” needs to be executed on the Non Judicial Stamp Paper of minimal value and needs to be attest by the First Class Judicial Magistrate or Executive Magistrate. Annexure “H” – Annexure “H” is the Affidavit for Declaration of Parent/Guardian for Minor Passports and needs to be given on the Plain Paper not on Stamp Paper. Annexure “I” – Annexure ‘I” is the Standard Affidavit needs to be given by applicant while applying for the passport. Annexure “I” needs to be executed on the Non Judicial Stamp Paper of minimal value and needs to be attested by the Executive Magistrate or Notary Public. Annexure “J” – Annexure “J” is the Specimen Verification Certificate to be given by Chairmen of Apex Business Organizations to the Owners, Partners or Directors of the companies having membership of the concerned chambers on the Official letter head of verifying authority. The applicant’s passport size photograph is also required to be affixed on the Verification Certificate and attested by the officer issuing the Verification Certificate with his/her signature and rubber stamp put in such a way that half the signature and stamp appear on the photograph and half on the certificate. Annexure “K” – Annexure “K” is the Specimen Affidavit for Issue or Re-issue of passport, which was obtained prior to marriage, by married applicants who are unable to provide the prescribed marriage certificate or joint affidavit with spouse due to marital discord, separation or without formal divorce decree by the Court or due to total desertion by the spouse. Annexure “L” – Annexure “L” is the Specimen Affidavit for a passport in lieu of lost/damaged passport. Annexure “L” needs to be executed on the Non Judicial Stamp Paper of minimal value and needs to be attest by the First Class Judicial Magistrate or Executive Magistrate or by Notary Public. So, this is all about the Annexure(s) and their Significance’s in Passport. We tried our best to provide the Information of all Annexure(s) at one place. Thank you for giving your Time on our Blog.